Hey, lovelies! I hope you are all doing well and enjoying your Wednesday. A couple of weeks ago, Zoya had an amazing deal going on that I just couldn't pass up on. 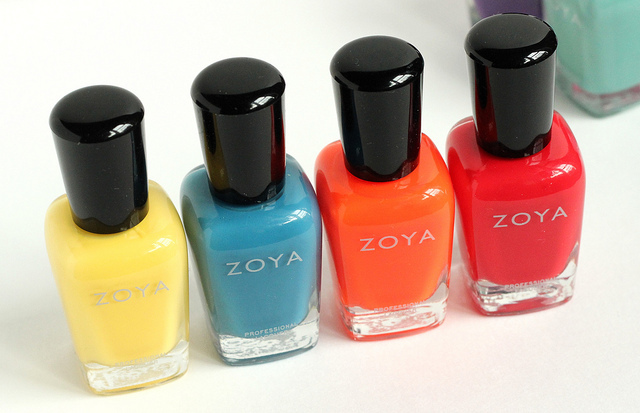 It was a buy 1 get 1 free event featuring a selection of Zoya's summer flashback nail colors. If that wasn't amazing enough, along with the buy 1 get 1 free deal, Zoya also included a bonus offer which consisted of buying 4 summer flashback nail colors and getting 4 free, plus free shipping on top of that! You know I had to go with the buy 4 get 4 free offer. 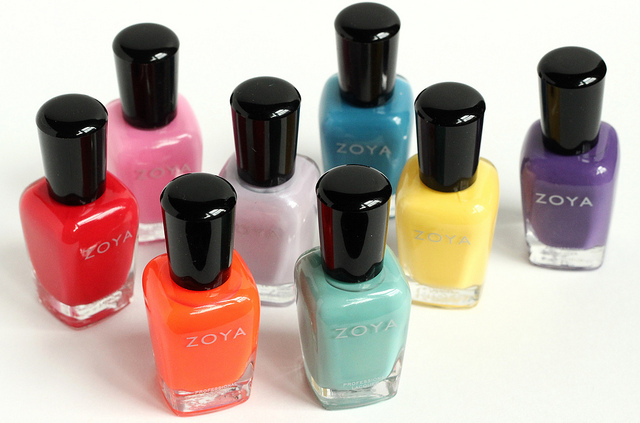 Without further adieu, here are my eight latest Zoya nail color additions! Wednesday: Medium turquoise cream. This shade has been on my wishlist for ages, so of course I had to get it. And I am so glad I did! This shade of green is not just perfect to sport for the warmer months, but for the colder ones, as well. My pictures do not do Wednesday any justice. The color is a tad bit deeper in person. The formula on this is very smooth, and it resulted in opaque coverage with two coats. Marley: Light lavender cream. I usually don't go for shades like this one but curiosity got the better of me and I decided to try it out. Unfortunately, Marley didn't quite work out like I had thought it would. The formula wasn't the best to work with. The streaks and patches that came about during application were inevitable, as were the visible brush strokes. Mira: Grape cream. I finally have a purple grape nail color in my collection! Yay! Mira contains a creamy and smooth formula that flows beautifully on the nails. I got opaque coverage with just two coats. Shelby: Bubblegum pink cream. I know this shade isn't super unique, but I couldn't resist it. I sport pinks all year round, so Shelby is definitely going to be getting a lot of usage out of me. The first coat went on a little sheer and streaky, but three coats will do it for even and opaque coverage. Pippa: Sunny yellow cream. I do a lot of wishful thinking when it comes to yellow nail colors, and I really should stop at some point because it always bites me in the end. I don't have much luck formula-wise with yellow cremes, and sadly, this one was no different than the others I have tried. The color is simply stunning, but the formula proved to be quite tricky. It was super thick, and by the time I was done with application, all I saw were streaks and patches. Sigh. And my search for the perfect yellow cream continues. Breezi: Deep teal blue cream. I picked out this color with fall/winter in mind. I gravitate towards murky deep shades like this one during the cooler season so, it seemed only right to add Breezi to my collection. The formula of this was easy to work with. Two coats provided opaque coverage and smooth results. Paz: Neon orange cream. I probably didn't need another orange neon nail polish in my collection, but how gorgeous is this color? I am actually sporting Paz on my toes right now and wow, is it bright! It definitely stands out. The formula is a little sheer so this definitely takes a bit of building up in order to obtain opaque coverage. Three coats usually does it for me. As with most neons, Paz dries to a semi-matte finish, so a shiny top coat is essential if you want that added glossy look. America: Tomato red cream. I can never have enough classic red shades. They are timeless, and I think it's always nice to have a couple around. This has a lovely formula that can easily saturate the nail with one smooth coat. But I tend to apply a second for good measure. Overall: Zoya's cream nail colors are my absolute favorites in terms of formula. They not only apply beautifully, but the shiny, glossy finish they give off when dry is just breathtaking. When it comes to longevity, it's not until 3-5 days before I stat to see a little chipping and tip wear. To prolong the wear time I suggest applying a long lasting top coat, which should do the job. I really appreciate the fact that Zoya often holds special promotions like this one. It not only helps me build up my Zoya collection, but it also saves me a bit of money, which is always great. 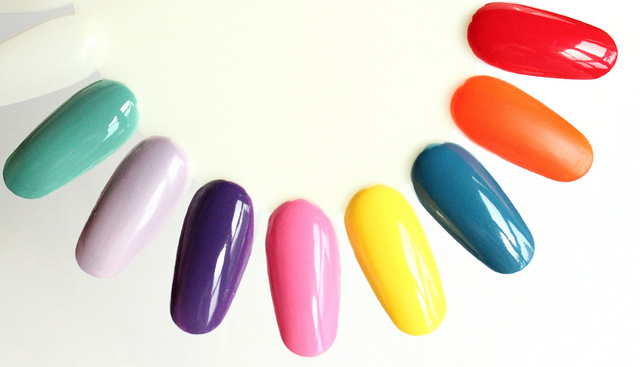 Which are your favorite Zoya nail colors? i had no idea Zoya had such fun colors!! They sure do, MissAshDG! Zoya nail colors are among my most favorites because they have so many different colors and finishes available!